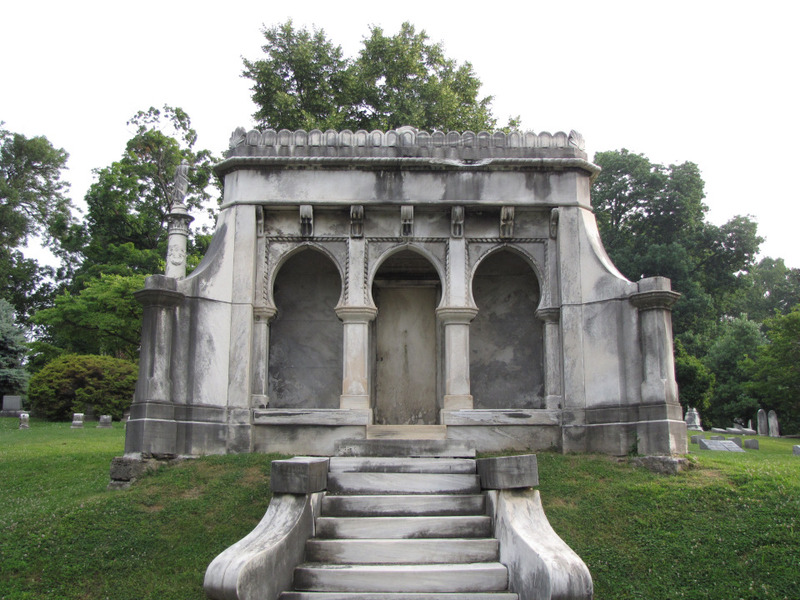 In addition to the two mausoleums found in Nashville and Louisville, this same design is found in two mausoleums in the Laurel Hill Cemetery in Philadelphia. 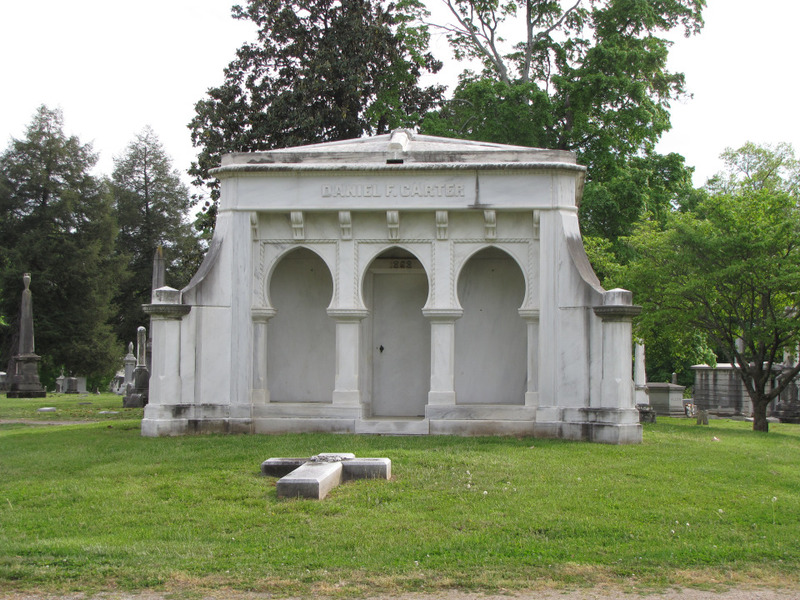 The difference, however, is that with each of these two mausoleums are not free-standing. That is, the façade is designed and constructed in the same Venetian Gothic style, but most of the tomb in underground. 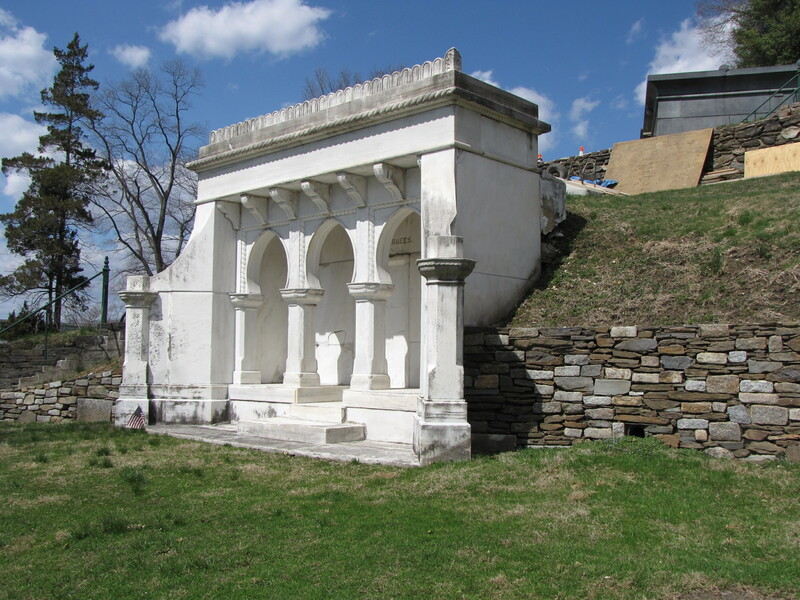 It is likely that in both cases of these two mausoleums are constructed and built by the Steam Marble Works in Philadelphia. 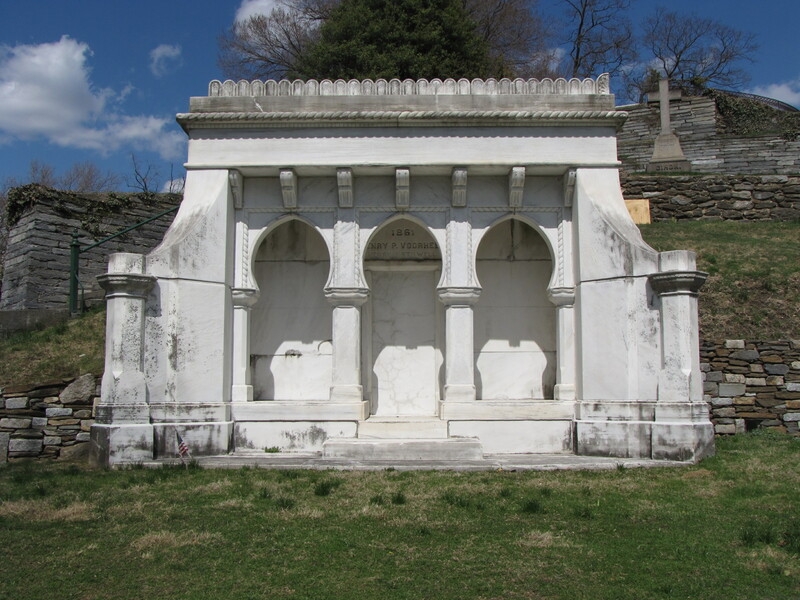 The Vorhees Tomb is ornamented just like the Spotts Tomb in Louisville and the Carter Tomb in Nashville. 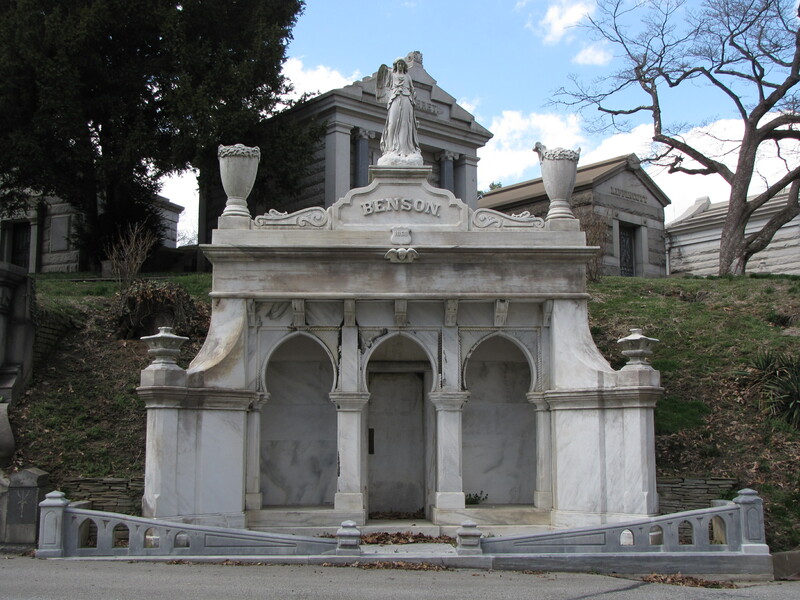 The Benson Tomb, is in the same architectural style, but is highly ornamented—with two large urns on the corners of the top of the tomb, and an angel in the center. In addition there are square urns on the “wings” of the mausoleum and a winged cherub under the date the mausoleum was built. 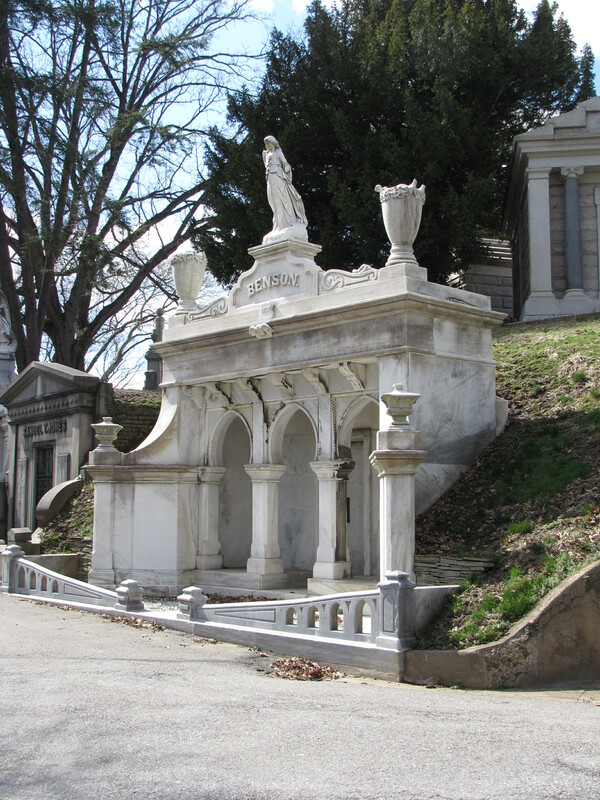 What this appears to demonstrate is that though one could order the Venetian Gothic Mausoleum from the Steam Marble Works Company, one could also have this design customized to suit the tastes of the family.